The guy on the picture it’s me, Alexis, 22 old from Paris, France. 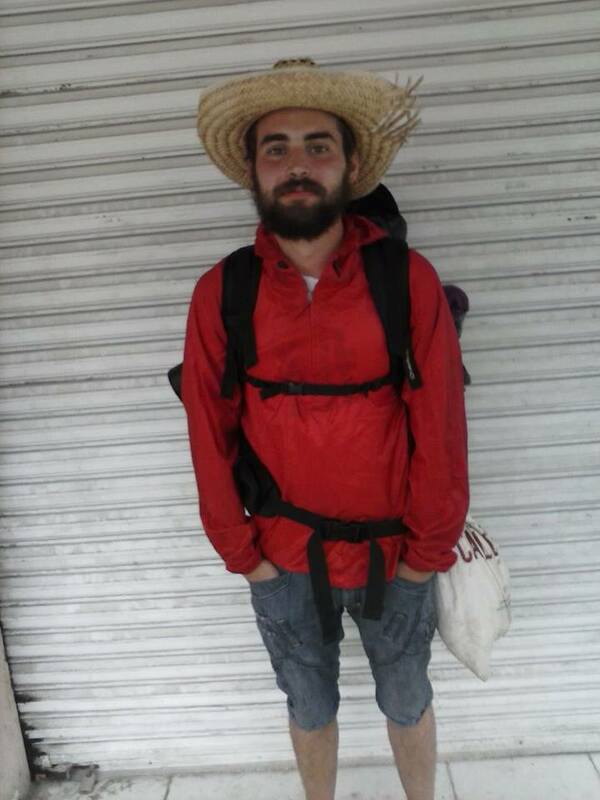 After a trip on a sailboat in the caribbean and 7 months in Mexico I decided to travel all they way to Brasil, hitchhiking, working and couchsurfing. Cause that’s the only thing I can do. I can’t stay too much time in the same place I always need to move, see some new places and meet new people. And I’m pretty good at it. I think people don’t travel because of their possessions. They have jobs, families, or just a certain confort they don’t want to leave. I don’t have any of that. Nothing in my bag have more value than a sentimental one. People are afraid of the unknown, I’m not. Cause I wanted to learn spanish. That was the main reason. Also cause a lot of my friends are going to Australia or USA but no one have ever been to Belize or Nicaragua. There’s a lot of different country on the way and the cultural difference is bigger than in Australia but still smaller than in China for exemple. So after Europe I thought it was a good start. Sadly I’m not always hitchhiking for pleasure. Sometime it’s for money but it’s still the best way to meet people. On a bus you don’t talk to anyone and you don’t even see the road. While hitchhiking you can seemore things. Same for couchsurfing I’m using it to be able to meet and spend time with locals. With couchsurfing you don’t meet people, you meet friends. I don’t care in how many countries I’ve been but how I exprienced it. I love postcard, yes I’m an old romantic. I want to learn languages to be able to speak with more people. I’m vegetarian and vegan when it’s possible. It’s quit hard on the road but didn’t eat any meat for now! I can be a good cook but I want to learn so much more about it. I’m affraid of a lot of things but no traveling and being happy. I don’t care if people are straight, gay, poor, rich, tall, white… Just be nice!! I love photography with old camera, I think I don’t do it so much this time. Hey Alexis, Cool blog! It’s always great to read about other people’s travelling experiences. On our website we normally publish stories and articles about hitch-hiking and travelling so if you have any story you would like to be seen by a wider audience (with a link to your blog of course). This is how we do it: http://hitchhikershandbook.com/your-contributions/travel-stories/ Drop us a line if you are interested. Sure it would be great, I really enjoy your blog so no problems to write you a story! Will chose one soon this is the hardest part!